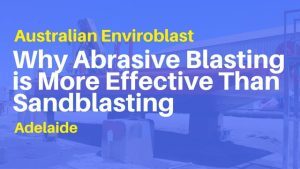 A significant disadvantage of sandblasting and other dry blasting methods is that because the blast media is not encased in water as it is in wet abrasive blasting, this can drive contaminants such as oil and grease into the substrate, rather than cleaning them off, while parts of the blast media itself can become embedded if blasting is done without the cushioning effect that water provides. 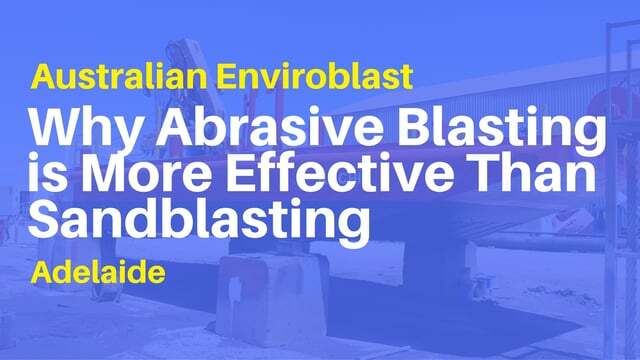 Using water in the wet blasting process also means that the blast media doesn’t break down, and so significantly less is used, reducing costs, both in terms of materials and cleaning up after a job is completed. In addition, the use of water in the wet abrasive blasting process means that there is almost no dust produced, and so after blasting there is very little clinging to the surface. This is of benefit because dust that is left on a substrate when a protective coating is applied will impact negatively on its adhesiveness. Dry blasting or sandblasting does not remove dust as effectively as wet blasting, which can make the whole process more time consuming and expensive as a further clean (usually either by brushing or vacuuming) has to be undertaken after the blasting process has been completed.